(Thursday, February 1, Orlando, Fla.) – One of today’s most gifted pianists, Orli Shaham, joins conductor Eric Jacobsen and the Orlando Philharmonic Orchestra to celebrate the 100th Birthday of one of America’s most beloved composers, Leonard Bernstein on Saturday, February 17 at 8 p.m. at the Bob Carr Theater, located at 401 West Livingston Street, Orlando, FL. 32801. 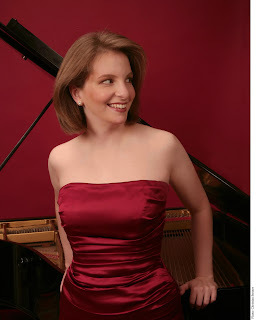 A consummate musician recognized for her grace, subtlety, and brilliance, Orli Shaham has established an impressive international reputation as one of today's most gifted pianists. She will perform Bernstein’s Symphony No. 2, “The Age of Anxiety” based on a Pulitzer Prize winning poem by W.H. Auden. Hailed by critics on four continents, Shaham is in demand for her prodigious skills and admired for her interpretations of both standard and modern repertoire. The New York Times called her a "brilliant pianist," The Chicago Tribune recently referred to her as “a first-rate Mozartean” in a performance with the Chicago Symphony, and London's Guardian said Shaham's playing at the Proms was "perfection."